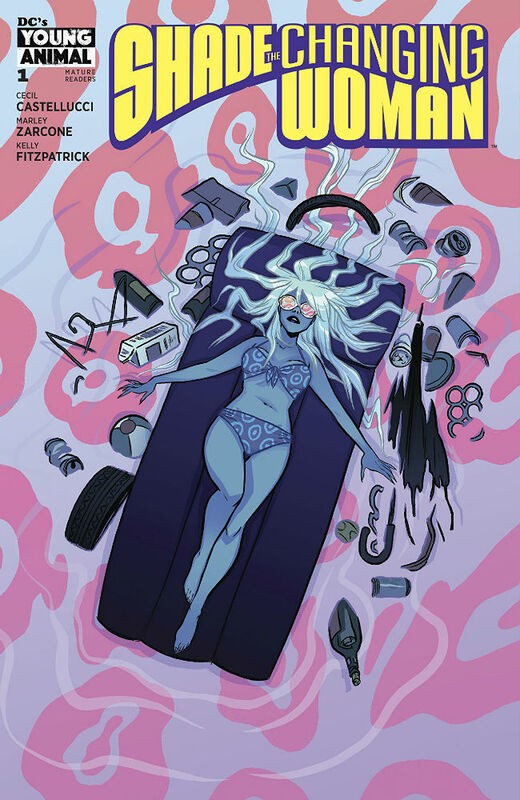 Staff Picks for March 7, 2018 – Shade the Changing Woman, Swords of the Swashbucklers, Gideon Falls, Why Art? and More! The undoubted highlight of Young Animal, the DC imprint presided over by Umbrella Academy writer/emo heart-throb Gerard Way, was Shade, The Changing Girl. Written by established YA author Cecil Castellucci and drawn by the fantastically talented Marley Zarcone, it’s a book that riffed on its parentage — the Shade character has been around since the Seventies, but it’s the Peter Milligan/Chris Bachalo version published under the Vertigo banner that was the principal influence — without feeling like just a tasteful homage. In that first iteration, the “Madness Vest” of the late, great transdimensional poet Shade was nicked by the bird-beaked alien Loma, allowing her to travel to Earth and inhabit the body of recently comatose Mean Girl Megan Boyer, which allowed Castellucci and Zarcone to explore all manner of teen drama along with the usual Shade psychedelic insanity. This month’s renumbering and title change come as Loma and her vest move to another vessel, but past experiences are harder to shed. Coming up, apparently, is some fallout from recent Young Animal crossover event “Milk Wars”, and a meeting with the original Shade. 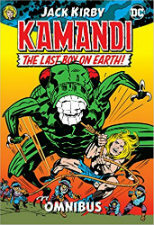 One of those concepts by the King that has benefited from the ongoing periodic re-evaluating of his work, the world of Kamandi is one that it sometimes seems every creator who plies their trade in the universes of the Big Two wants a crack at. 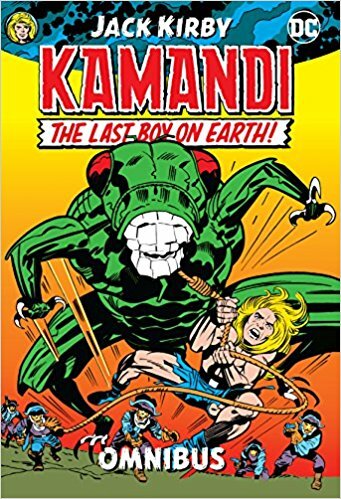 A large number, of course, recently did within the pages of the 12-issue “exquisite corpse”-style Kamandi Challenge but while that series was certainly not lacking in enthusiasm it was, by its very nature, found wanting in narrative cohesion. If you’re an established fan of the Last Boy on Earth, or an uninitiated reader waiting to be swept away into the future world after The Great Disaster where humanoid animals reign supreme, then this week has a treat for you. The first forty issues of one of Kirby’s most memorable characters from the 1970s are reprinted this week giving you the opportunity to meet Kamandi, Flower, Ben Boxer, Prince Tuftan and Doctor Canus in a deluxe collection. 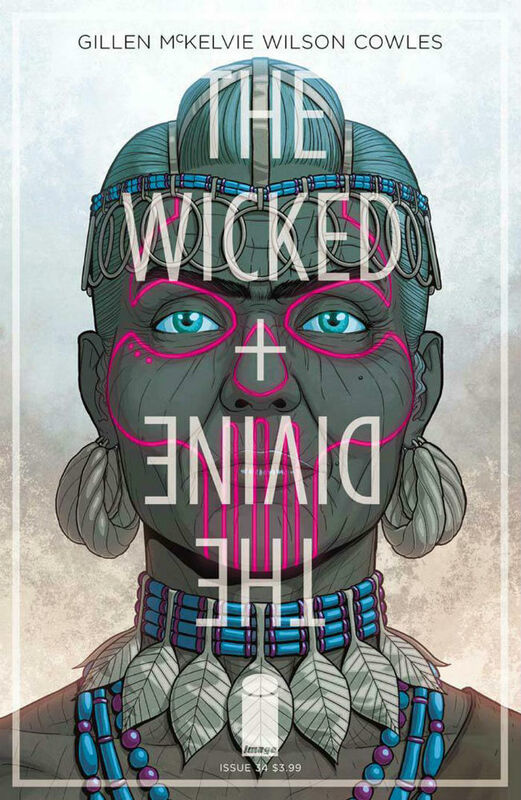 Following a superb one-shot special set in the Twenties, which blended Agatha Christie-inspired prose sections with traditional comic sections illustrated by Aud Koch, The Wicked + The Divine returns from the usual between-arcs Image comics hiatus and prepares to enter its final year. Saying that all the pieces are in place for a final reckoning perhaps implies too much competency on behalf of the adolescent cast, a group of teenagers-turned-deities whose legions of followers and god-like powers haven’t exactly tempered their natural horniness/self-destructiveness/propensity towards bad decision making. All credit to Gillen, McKelvie and Wilson for making all that actually very considered piece-placing appear so random and chaotic, though, the mixed motivations of the cast nonetheless setting things up beautifully for the final furlong. The slowly unfolding mystery has proved frustrating at times, so the quality (and existence) of the pay-off is more than welcome. Expect a fair few more answers this month, as we flashback 6,000 years to the first time this whole “pantheon of pop gods” thing happened. Exciting! Brilliant! Tragic! Eleanor Davis’s You & a Bike & a Road (Koyama Press) was one of last year’s most highly regarded comics. An on-the-spot chronicle of a two-wheeled odyssey from her parents’ house in Arizona to her own home in Georgia, it was praised by Broken Frontier’s Ally Russell for its “equal balance of humour and heart” and the way in which Davis uses her observations to move beyond the personal and uncover some wider truths about the world. The author’s marriage of insight and craft is also likely to get the pedals turning on her new book, which takes on the ambitious task of answering the big question set in its title. 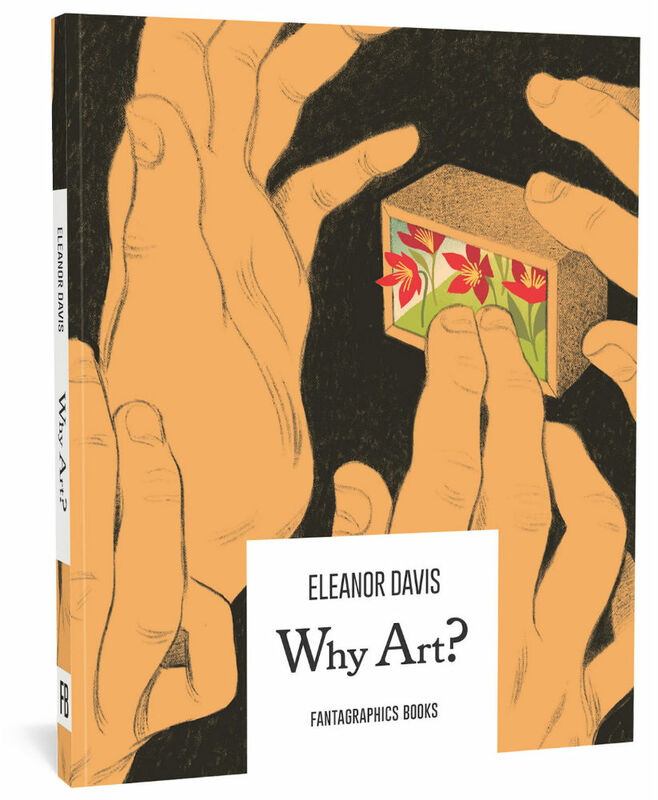 With a pinch of dry humour, Davis wrestles with the protean concept of art and tries to pin down why it exists and what function it can really serve in society. By the very fact you’re reading this, you probably agree that art – in all its diverse forms – is one of the things that makes life worth living. 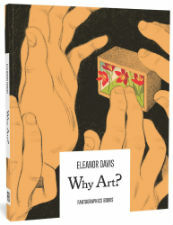 Eleanor Davis’s interrogation of why that is should make an illuminating read for artists, commentators and viewers alike. They say you shouldn’t judge a book by its cover. But, Andrea Sorrentino’s outstanding cover art for the first issue of Gideon Falls, his latest collaboration with best-selling writer Jeff Lemire and nine-time Eisner award-winning colorist Dave Stewart, had me excited for this new series from Image Comics before I’ve even seen what lies inside. A troubled young man, Norton, struggles with an unhealthy obsession which drives him to collect strange bits of trash he finds around the city. His fate becomes intertwined with a Catholic priest, Father Fred, who is struggling with is own inner demons and questioning his own faith. A mysterious connection exists between the two men that centers around a supernaturally dark place called The Black Barn – a site of timeless evil that will reveal more about itself and the characters as the esoteric story unfolds. 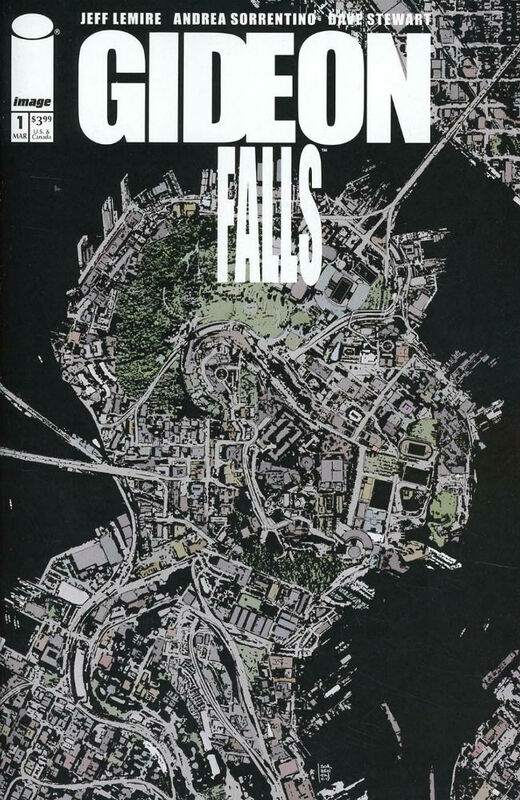 Lemire and Sorrentino, who’ve demonstrated their creative rhythm with excellent runs on Marvel’s Old Man Logan and DC’s Green Arrow, have created Gideon Falls as a means to explore new stylistic territory, both in terms of the slow-burn storytelling and the atmospheric art. There should be little doubt, though, that these top-notch creators will deliver a series that readers can’t help but “fall” for. Publisher interest in otherwise forgotten creator-owned comics properties has been a most welcome development over the last few years and from the perspective of a reader who was there the first time around it’s been a joy to see outfits like Dover bringing some very deserving work back into the public eye again. There’s a wealth of ’80s/’90s material deserving of a new audience after all. 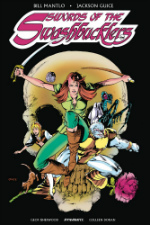 This week sees the Bill Mantlo/Jackson Guice Swords of the Swashbucklers series from the Eighties published by Dynamite in a new hardcover edition. Originally debuting from Marvel as a standalone graphic novel and then a 12-issue maxiseries, the book follows teenager Domino Blackthorne Drake and her cat Cap’n Kidd as, alongside the crew of the spacefaring pirate ship Starshadow, they face the threat of the insidious Colonizer empire. Combining sci-fi, piracy and high adventure this is another retro treat in a strong week for classic collections. Staff Picks for July 11, 2018 – A Projection, Memoirs of a Very Stable Genius, Come Again and More!